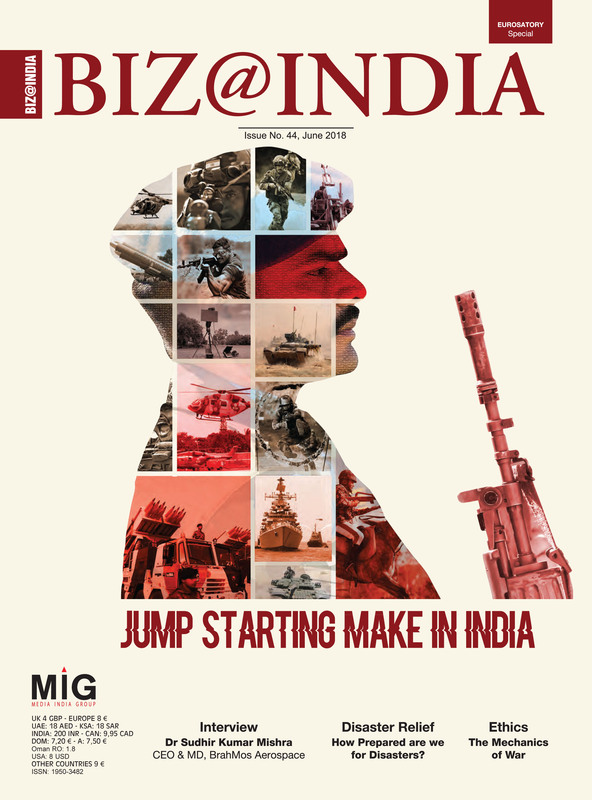 This issue of Biz@Inida, talks about various challenges that lie ahead of the Indian armed forces and how it has been progressing. The magazine throws light on Indian army’s weapons, 70 pc of which are now obsolete. We also see how governments have tried to boost indigenous manufacturing of defence products. India is also looking at automation of its war machinery, including acquisition of drones, not only for surveillance but also the armed drones for carrying out attacks. India is also trying to develop its own versions of cybersecurity. We also look at internal security, which is a big challenge. With the development of new technology products for internal security, including drones, armoured vehicles, better surveillance cameras, the Indian homeland security can indeed get a leg up in the continuous battle against home-grown threats. Another threat is from natural disasters. There are also numerous rail and road accidents as well as industrial mishaps, which means India’s civil defence teams need better equipment and training.